Alan Dawson (Part 1): A Life in Music - Drummer's Resource: Conversations with the world's greatest drummers and music industry pros. There’s an old adage that says, “Those who can, do. Those who can’t, teach.” Those who believe this philosophy to be true obviously never heard of legendary jazz drummer Alan Dawson (1929-1996), a musician who was equally gifted as both a performer and teacher. In addition to mentoring numerous drummers as a faculty member at Berklee College of Music and beyond, Dawson had the distinction of performing with many world-renowned jazz musicians. Through working at Boston-area venues such as Wally’s Paradise and Lennie’s On The Turnpike, Dawson had the privilege to perform with such artists as Coleman Hawkins, Sonny Stitt, Phil Woods, and several others. In addition to his many local appearances around town, Dawson also recorded numerous albums as a sideman with Booker Ervin for Prestige Records, and was the first drummer to follow Joe Morello in the Dave Brubeck Quartet. 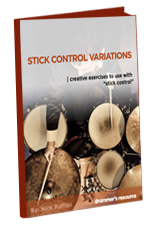 His teaching methods have become legendary amongst drummers around the world. His performing credits read like a Who’s Who of jazz royalty. And in the realm of higher education, he exemplified the ideal balance between a career as an academic and an international-level jazz musician as one of Berklee’s first faculty members. George Alan Dawson was born on July 14, 1929 in Marietta, PA, but grew up in the Roxbury neighborhood of Boston. Music was always present in the Dawson household, as Dawson’s mother and father were amateur musicians. By the time he was 14, Dawson was already performing around Boston with local musicians. In his late teens, Dawson began formally studying drums with Boston show drummer Charles Alden. In addition to teaching Dawson how to read music, Alden later expanded the lessons to include studies on marimba and vibraphone, which Dawson would later integrate into his teaching curriculum. After serving in the US Army Dance Band during the Korean War, he joined vibraphonist Lionel Hampton’s band on a tour of Europe. Upon his return to Boston, Dawson continued to perform with local musicians such as pianist Sabby Lewis, yet found the irregularity of work a constant challenge, and even attended drafting school for a brief period of time. In 1957, his luck began to change, thanks to his regular gigs around Boston, “It was during this period of time when I was working at Wally’s with my own group that several students from Berklee started coming in on a regular basis and they kept asking me various things and if I gave lessons.” Even though Dawson was teaching a young Clifford Jarvis and Tony Williams at the time, he had never seriously considered a foray into education full-time. Nonetheless, Berklee president and founder Lawrence Berk called Dawson to join the faculty at his newly emerging school. During his 18 years as a teacher, he taught numerous students who later went on to have star-studded careers themselves, including John “JR” Robinson, Kenwood Dennard, Casey Scheuerell, Steve Smith, Vinnie Colaiuta, Harvey Mason, and Terri Lynne Carrington. As a result of this date, Dawson was awarded the “Talent Deserving of Wider Recognition” award from Down Beat Magazine in 1965. In addition to recording seven more albums with Ervin, Dawson recorded with other artists on Prestige Records, including Illinois Jacquet, Sonny Criss, and Dexter Gordon. In addition to recording and touring with Brubeck’s quartet, Dawson also appeared with Brubeck’s family band, Two Generations of Brubeck. In 1975, Dawson suffered a slipped disc injury that prompted him to leave both Brubeck and Berklee. He limited his private teaching schedule to 30 hours per week from his home, and kept his performance career centered within the Boston area with a group that included tenor saxophonist Billy Pierce, pianist James Williams, and bassist Richard Reid. He continued to teach and perform until his death in 1996 from leukemia. Berklee professor Bob Tamagni further added, “There’s so many things I admire him for: his musicality, his melodic approach, his listening, his chops, his elegance and stage presence, and his presence in a recording. That’s his performing half. The other half is his teaching half, which has arguably an even bigger contribution to the drumming community because he’s taught us things that are still, to this day, used and built upon, added to, embellished, and varied, all starting with his ideas.” Indeed, nearly 20 years following his death, Dawson’s legacy can still be felt strong within the drumming community. 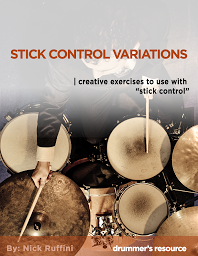 Next week, I’ll explore that legacy further by talking about Dawson’s numerous four-way coordination applications using Ted Reed’s classic book, Syncopation. Ryan McBride is an in-demand drummer in the New York City area. He has performed with Adam Pascal, Adrian Zmed, and Christine Ohlman, and is on the percussion faculty at Brooklyn Music School.